LONDON — A team of journalists for Britain’s Channel 4 News was arrested Sunday after covering Bahrain’s Grand Prix race, which went ahead after a week of angry protests away from the F1 desert circuit. 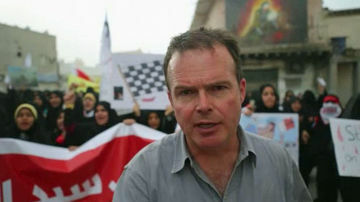 “We can confirm that our foreign affairs correspondent Jonathan Miller and his team have been arrested whilst reporting for the programme from a village in Bahrain,” a Channel 4 News spokesman said. Miller left before the end of the race to report on the protests. “Our primary concern is for the safety of the team, and we are working with the appropriate authorities to secure a swift release,” said the spokesman. Miller managed to talk to Channel 4 News while being taken to the police station, revealing that he and his team were surrounded by riot police after being detained following a short car chase. 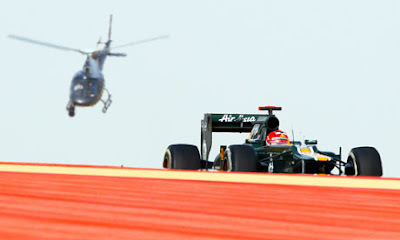 Finnish Formula One driver Heikki Kovalainen in action during the 2012 Bahrain Grand Prix. 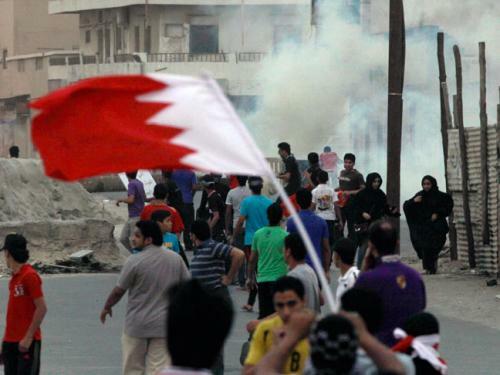 After leaving the race, Miller headed to a number of Shia villages on the edge of Bahrain City where protests were expected. The team was on its way back to edit footage of the protests when it was apprehended by security forces, who Miller claimed had been “very aggressive”. The foreign correspondent expressed concern over the fate of his hired Bahraini driver, who was also taken in by police. Bahrain’s King Hamad was among 10,500 spectators on the main grandstand and a smaller audience watched from other platforms as double world champion 24-year-old Sebastian Vettel of Germany led from start to finish. The country’s Shiite opposition had called for the race, held behind layers of security at a time of soaring tensions in the Sunni-ruled kingdom with a Shiite majority, to be called off. 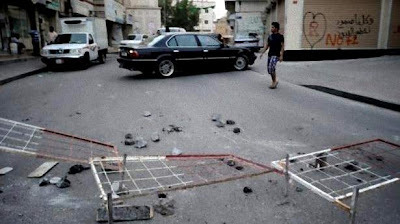 Right after the race, protesters burnt tyres on the main road linking the capital to the Sakhir race track, witnesses said, as security forces stopped dozens of others from marching towards the now demolished Pearl Square in central Manama.